This most adorable nest decorated one of the packages of goodies I ordered from Lisa. Her little boy made it. 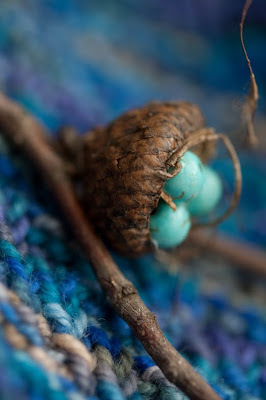 Is it not the sweetest little nest you've ever seen? I heart it to pieces. I am racing against time to match my 60 sock record from last year. Cast-on-itis is the word of the month!! This pair of socks is one of my favorite patterns; it's Anne's 'Holidazed' pattern that she designed for RSC for November 2009 oops, that would be 2008! Thanks, Cristi! They're being knit in STR 'Blue Brick Wall'. A lovely dash of color to brighten these rainy days. oh, that nest it SO darling! There's two weeks of the year left...I have confidence you can whip up those socks!! 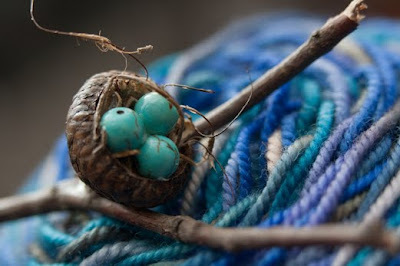 How cute is that nest! And I heart the blue brick wall and holidazed pairing...perfect! Happy friday-eve! And I love the blue! That is going to be one beautiful blue pair of socks. I love the color! 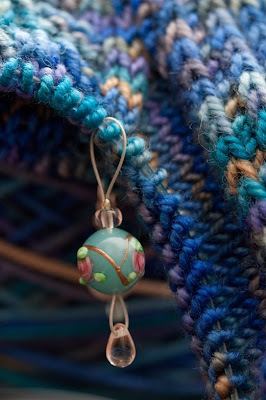 Matching stitch markers and a little robin's nest to boot! this is the most beautiful post because Blue Brick Wall is my all-time favorite colorway from Blue Moon. 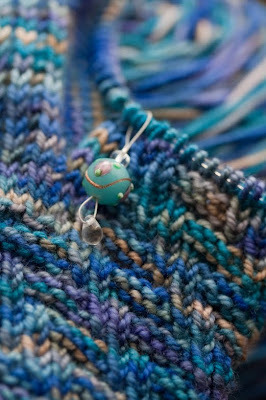 And I haven't knitted Holidazed so guess what I'm going to knit that in?? Yep! You guessed it - Blue Brick Wall! I'm now working on a Papaver Cowl - it's really nice! 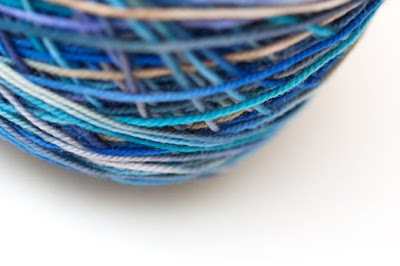 You're such an awesome knitter that I'm sure you can match or best you record. Plenty of time left, and think of the time off you have coming. Go Gail! If you knit 54 pairs of socks this year, you have not knit in vain. Holidazed was actually 2008. And if I'm not mistaken, that should mean it's available to the rest of the world to buy now, yes? I still haven't made mine. I forgot this one! So dear! So beautiful!